Monster Truck is a Juno award winning, Canadian band from Hamilton Toronto. Members include lead singer and bassist Jon Harvey, guitarist Jeremy Widerman, keyboardist Brandon Bliss and drummer Steve Kiely. They have 3 studio albums and several singles. Their music has been featured on TV and in several video games. With their latest album announced on June 1, 2018, Monster Truck is on a rocknroll path across the country. 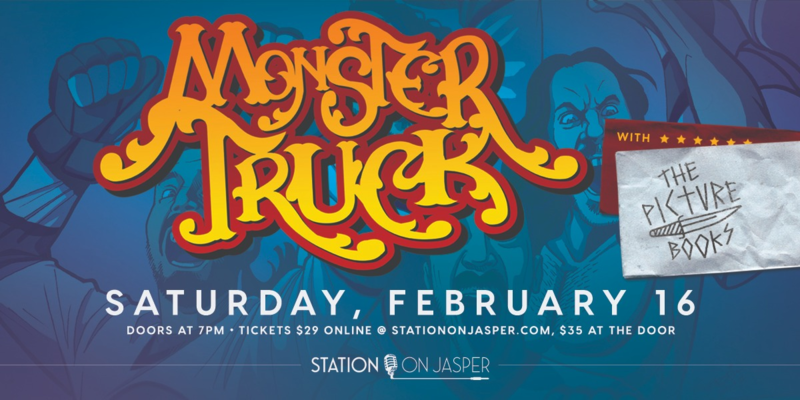 Station On Jasper presents a second show with Monster Truck. Doors open at 7:00PM, but come in earlier for some great food and drinks.